The name Land Rover conjures many happy memories from my childhood. Friends with ancient Landy’s and Toyota FJ40’s crawling up the highway bound for Fraser Island fishing trips. The ancient Landy had bullet holes in it from where Glen’s dad had a mishap with a gun while dealing with a snake. They regularly had to be plugged with house putty then touched up with green paint. The seats were little more than canvas slings and the heating was as useless as a chocolate tea pot. The fresh air vents were flaps under the windscreen which let in the rain, and the engine had the performance of a slightly moist stick of celery. Things have changed much since then. The climate control is automatic and engine feels brisk. There electronic nannies to assist on road and a full suite of options once the tarmac is no more. The gears change all by themselves and the windows operate via electric buttons. The thing that hasn’t changed is the Landy’s tough and rugged feel despite the slight whiff of gentlemen’s club. 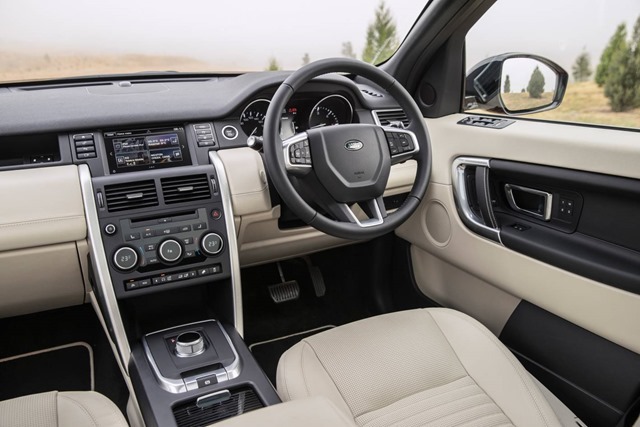 It has nothing in common with the Freelander it replaced The Discovery Sport has a brand new platform, flash new exterior, and delicious slightly retro interior. It is the latest offering from Jaguar Land Rover and very nice it is too. What a looker! You might be confused, as some of our onlookers were, about exactly which Land Rover you’re looking at. 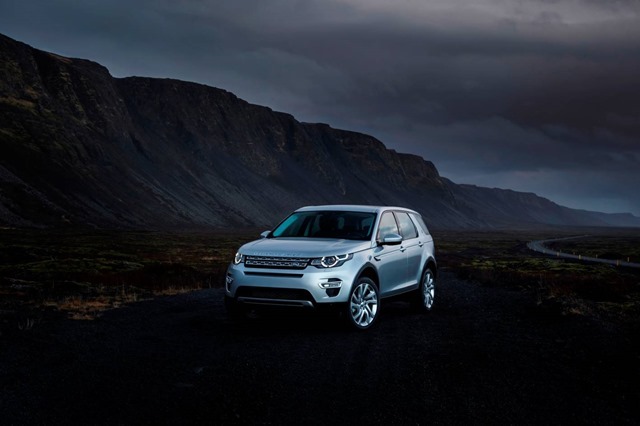 Some thought we were in an Evoque, some thought it was a new Ranger Rover Vogue and others thought it was a Discovery. We have Range Rover to thank (or course) for the world’s newfound obsession with SUV-style vehicles. 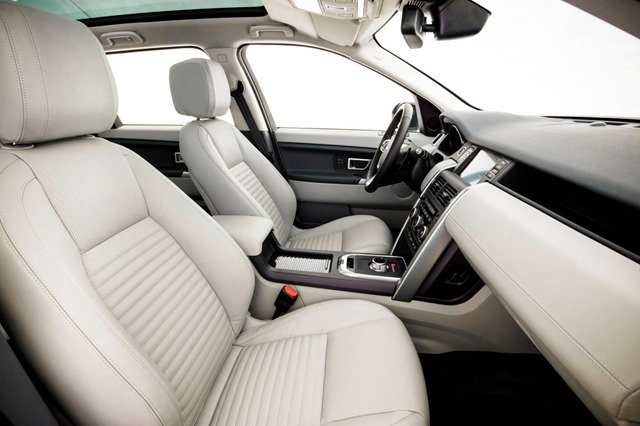 Range Rover was the first of the uber-luxury transports as at home in the bucolic beauty of the countryside as it was in the graveled drives of the eastern suburbs. No longer did off-roading mean noisy, cramped, uncomfortable compromise. The light clusters have the family likeness with a hint of Range Rover Sport, a soupçon of Range Rover Evoque, and if you hold your head just right, a smidgen of Jaguar. The Tonka-toy charm appeals to the mud-play in all of us. It’s classy, and in dark colours, looks beautifully menacing especially on the 20”alloys. It would look stunning in black-on-black with just a touch of black. Not practical for Australia but beauty is pain. 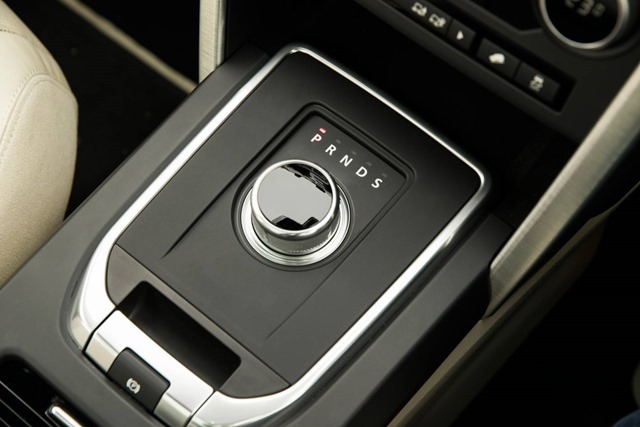 Entering via the smart entry/start system means always leaving the key secreted about your person. No more fumbling in dark corners. You step slightly up into the cabin giving you the regal superiority you modestly reject but secretly desire. The caramel and black two tone leather in the test car of felt like a suite of art deco luggage. There are touches of brushed stainless and leather throughout. 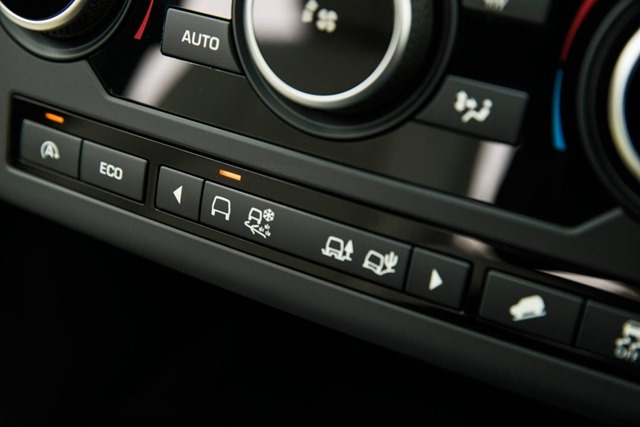 Like other models, the Sport has a gear selector knob instead of a clunky old t-bar, and it glides gently into place when you press the starter button on the dash. You find yourself wanting to park in front of a shop windows so you can watch the daytime LED running lights switch on as you select “drive”. The perforated leather seats are (optionally) heated and cooled and look sensational, and can be controlled via the command centre touch screen. Our HSE Luxury came with the top-of-the-line Meridian sound system so the touch screen interface is not the latest Land Rover offers. Apparently the system and speakers are not yet compatible. It does mean the response and menu feels a little clunky but it’s a small price to pay for a million watts. It makes you feel like you’re in a private box at the Opera House. The sound is sublime with every top note crystal clear and every bass note deep and visceral. It has to be said that with the driver’s seat set for my position, there is a bit of a reach to get to the buttons either side of the screen. Much functions can be controlled by the auxiliary steering wheel buttons, so it is no real problem. We had trouble streaming our Iphone but Land Rover says the cable must be original Apple issue, and you can’t Bluetooth stream with the USB plugged in. There are other USB charging points available if you decide you want to stream and charge simultaneously. Another thing which took getting used to were the window switches. They are high up on the door, but like most things will become familiar with use. Should you lose your mind and decide to go bush-bashing, the terrain controls are just below the climate controls. There are settings for sand, mud, rocks and a hill descent control. Everything is thoughtfully laid out and clearly labelled on big buttons. I’d imagine this is handy when you’re bumping along uncooperative goat tracks. Personally I’d rather fly and meet you at the other end! There are models which have an additional row of seats in the cargo hold, but doing so appears to forgo many handy optional features. Besides, if that many chaps want to come with you perhaps you’d be better off in a taxi in case many drinks come. The cargo hold would (sans 3rd row seats) takes 3 or 4 full size suit cases. The rear (optionally heated) seats backs have easy access handles and can adjust to several positions and are covered in more luscious caramel leather. With the panoramic roof open the cabin feels even more cavernous. The rear seat passengers have plenty of leg room especially with only 4 on board. You could easily do a decent road trip without feeling sardined into a shoe box. 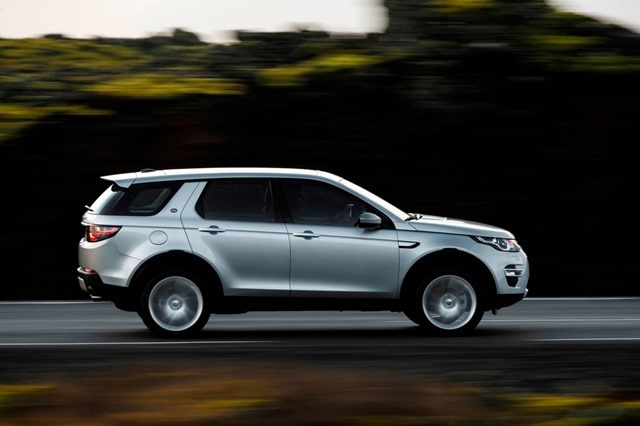 The overall ambience is comfortable, approachable and luxurious but not so precious that you wouldn’t want to use the Discovery Sport for its intended purpose. Having said that, as in most luxury off-roaders you probably wouldn’t want to go play in the mud then drive home without showering. You can however stow muddy things in the back where rubber mats keep most of the schmaltz off the carpet. No doubt most will never see anything more challenging than a gravel drive. 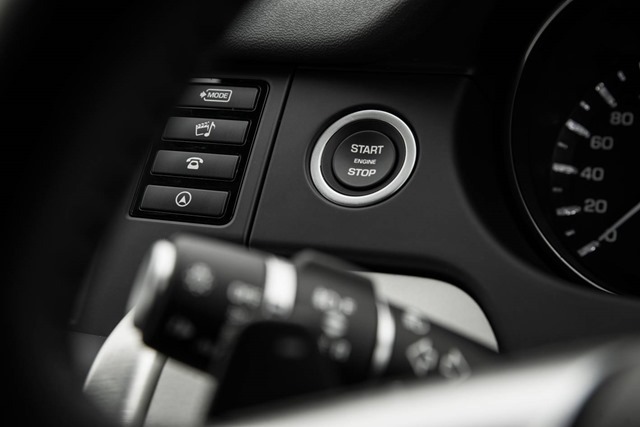 The push button start is one of my favourite features on any new car especially when it is combined with smart entry. It means you keep you key in your bag or pocket and never again utter the phrase “honey have you seen my car keys”. The 4pot diesel fires up and unlike almost every other car on the road, sounds right at home in the Land Rover. After all, what serious Landy has anything else? 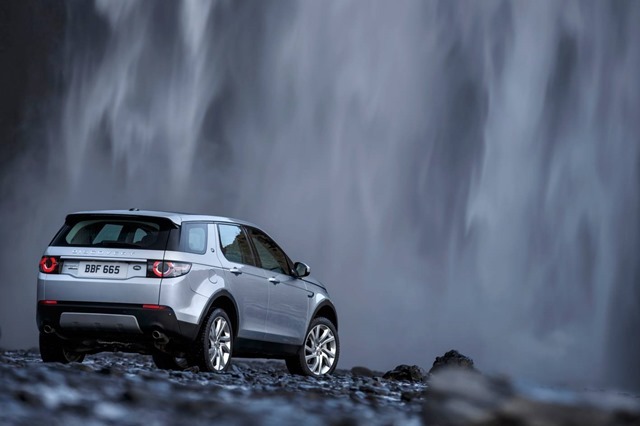 Despite the size, the Land Rover Sport feels agile. There is only the tiniest bit of hesitation while the turbo spools up which is easily managed by not mashing your foot straight to the floor. Strangely, the blinkers are on the European side rather than the British side, but otherwise things are where you expect them to be. Apart from the high driving position, you feel like you’re in any other normal premium car. The Disco Sport is an AWD. What does this mean? Four Wheel Drive (4WD) vehicles are considered pucker off-roaders as most Land Rovers and Range Rovers are. They differ from All-wheel-Drive (AWD) vehicles because of drive system, lack of a low range gears and hubs which don’t lock. AWD vehicles therefore earn the title of “Soft Roaders” because some journo somewhere decided that AWD wagons were not worthy. There are now many videos on the interwebz that say otherwise so let’s dispense with that demeaning nomenclature once and for all. If you have slightly deeper pockets you can opt for $1,500 each on the Cold Climate and Heads Up packs and $1,650 on the Parking Pack. There is also an entertainment pack ranging from $2,500 to $7,000 depending on your model, and wheel packs ranging from $1,400 to $3,400 also depending on model. Do I think it is worth it? Bring on the bling I say! The lane departure is handy. On the Disco Sport it is not “active” and only gives a shudder of the steering wheel as you cross a line without indicating.. In some brands torque is applied to assist you to bring the car back into line. After a few hours in the saddle you start to appreciate the engineering. The Disco Sport feels comfy and solid and because you feel like you’re in a lounge room, you have little concept of how fast you’re going. At 110kph you feel like you’re hardly above city speed. It is disconcerting at first but perhaps a great asset on a road trip. You have to watch yourself around town though as it’s easy to creep over the fascist limits set in the CBD and around schools. In city traffic you might expect a certain amount of difficulty. At the end of the day you’re driving a vehicle weighing 2,500 kgs that is 4,599mm long, but it doesn’t feel like it. Not that you need, it but if you are really worried about parking you can get the automated parking option. She is fairly wide at 2,173mm (mirrors out) / 2,069mm (mirrors folded) but again you don’t notice it unless you’ve just gotten out of a Mini. I suspect the “sport” part of the name relates more to what you can do with it rather than the way it drives. It drives like a car, but not a sports car. It is extremely smooth in an almost regal kind of way. It wafts along the highway like a limo and has oodles of space. The steering and brakes are responsive without feeling scary tight. It is graceful and capable in the city, and roomy relaxing on the highway. You can still do a brisk corner without feeling like you will tumble into the shrubbery, and the acceleration is “sufficient” (as Rolls Royce used to say). For those who insist on bush bashing, you can wade through water 600mm deep and even have a sonar readout on the dash showing the depth. The front of the car can cope with an embankment of 25°, the rear can cope with an embankment of 31°, and the angle at the top of the hill can be no more than 21° or you’ll teeter like a seesaw. Easy peesy. Oh, and while we are at it, don’t run over anything more than 212mm high or drive under a branch that is lower than 1724mm off the ground. Do all this and its happy days. I like this car very much. It is elegant inside and out and now looks like part of the range rather than a ring-in like the Freelander did. 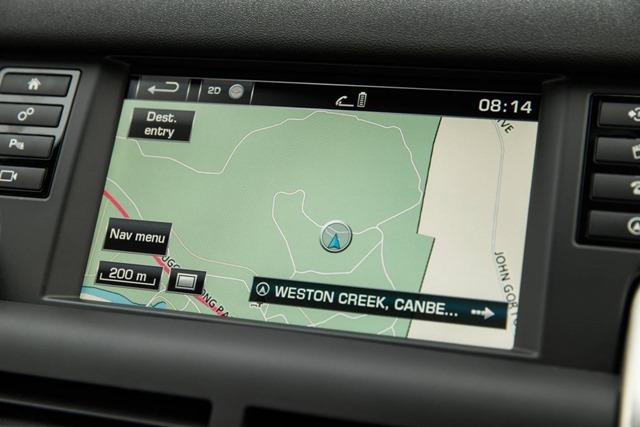 Priced between $53,300 and $66,500 (plus on-roads), it is in the Evoque price range but offers more space. It isn’t so crazy expensive that you wouldn’t want to try a bit of adventure but still feels and looks like it costs way more than it actually does. Of course you could easily add 10 grand by going mad with the pen on the optional extras page, but if you have the money, why not? I’d like to see some of those features standard and no doubt in future will be. Things like blind spot and lane departure warning, and autonomous emergency braking should be on every car sold, off roader or not. The engine options could be paired down to 1 petrol and 1 diesel. All come with a 6 speed manual but the ($2,500) 9 speed auto is sublime and will be what most people want. It’s get ridiculously good fuel consumption as it lowers engine revs as quickly as possible. Would I buy one? Yes. My only regret might be that I didn’t buy an Evoque petrol Coupe, but that’s like deciding between a shoulder rub and a foot rub, both make you go all gooey.